In a data acquisition session, you can use multiple devices and achieve various measurement types, including temperature, current, and accelerometer. 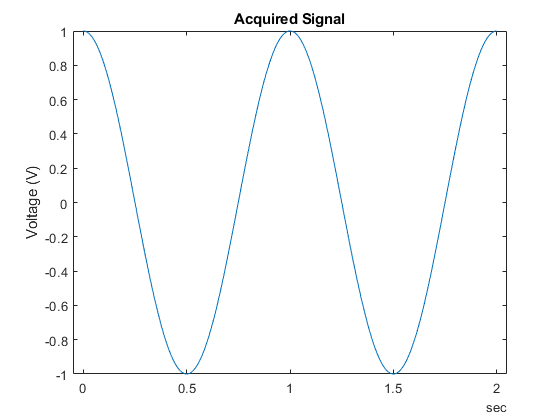 For an overview of typical acquisition and generation of analog signals, see Analog Input and Output Workflow. Use analog input channels and analog output channels together with a single Session object running near simultaneous. 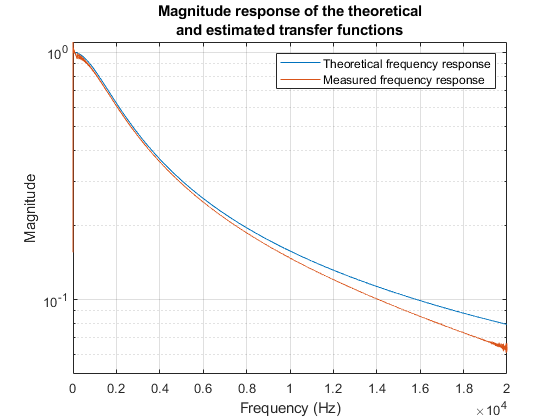 Will show you how to synchronously generate and acquire voltage data (at a rate of 300 KHz). You will use the session-based interface with Digilent Analog Discovery hardware. 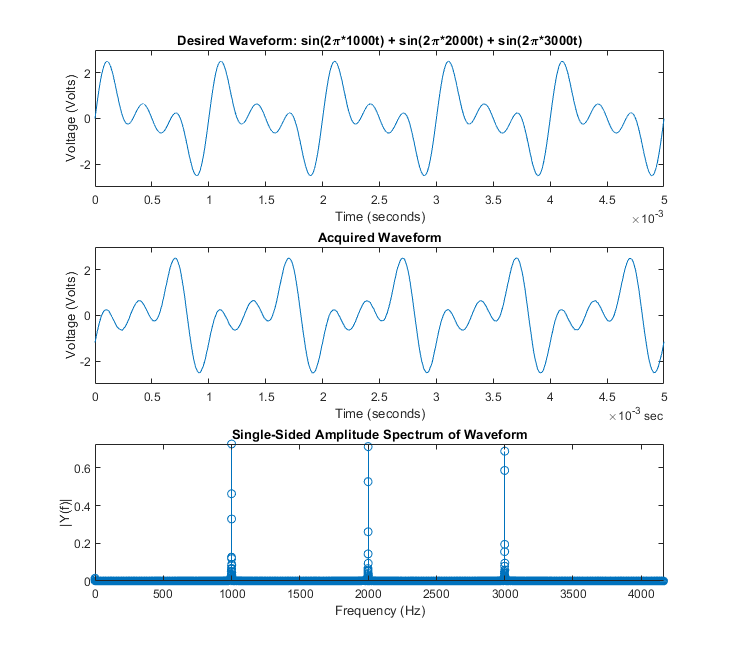 Use the function generator channel to generate an 1 KHz sinusoidal waveform function and record data at the same time, using analog inputs. The output voltage-range of the outgoing signal is -5.0 to +5.0 volts. This example uses the session-based interface with Digilent Analog Discovery hardware. 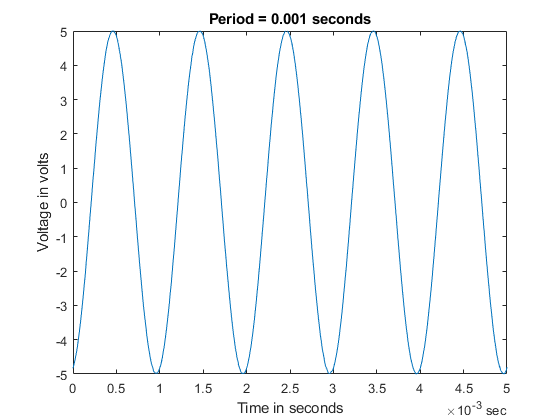 Use the function generator to generate an arbitrary waveform function at a rate of 1 KHz and record data at the same time, using an analog input channel. The output voltage-range of the outgoing signal is -5.0 to +5.0 volts. This example uses the session-based interface with Digilent Analog Discovery hardware. 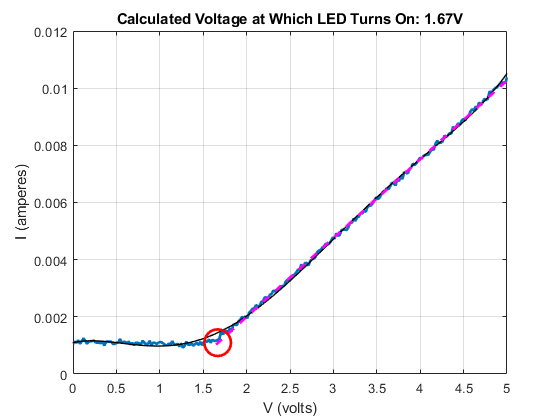 Use MATLAB to connect to an Analog Devices ADALM1000 source-measurement unit, configure it, and make current and voltage measurements to characterize an LED. 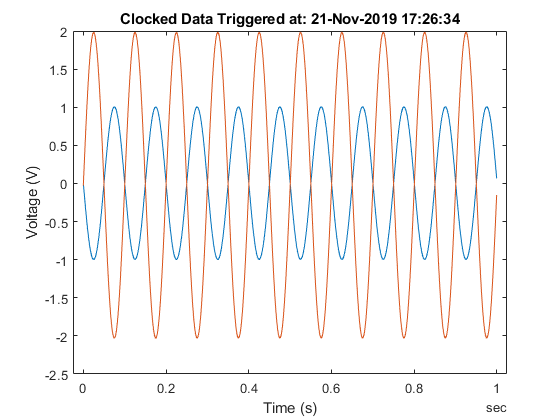 Use MATLAB to connect to an ADALM1000 source-measurement unit, configure it to generate an arbitrary signal, make live measurements, and use the measurements to calculate the transfer function of the connected circuit.